On occasion, this blog allows guest experts to submit a post on a complicated topic. This week, I am delighted to have a post on how Medicare will cover the prevention, diagnosis and treatment of cancer. The post also goes into detail on the differences in your coverage if you have a Medigap or Medicare Advantage plan. This post on Medicare and cancer benefits was written by Danielle Kunkle, the co-founder of Boomer Benefits, an insurance agency specializing in Medicare-related insurance products in 47 states. Her contact information is included at the end of this article. If you have cancer or a family history of cancer, you may have concerns about how Medicare will cover treatment of cancer. Treatment for cancer can be expensive, but Medicare will be an enormous help with diagnosing and treating this health condition. 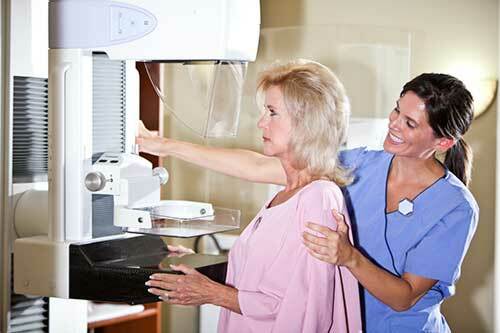 Medicare provides a wide range of cancer services from preventive care all the way to surgery and chemotherapy. Understanding Medicare’s coverage of cancer treatment starts with first understanding the parts of Medicare. Part A is your hospital insurance. It will pay for hospitalization, skilled nursing, blood, home health care and hospice. Part B is your outpatient insurance. It covers doctor visits, lab-work, durable medical equipment, surgeries, ambulance and many other medical services. In relation to cancer, Part B will also pay for chemotherapy, radiation, second opinions before surgery, drugs administered in a clinical or hospital setting, and physical therapy or rehab care. Medicare Part B also provides mental health care to deal emotionally with your diagnosis and preventive care screenings, such as mammograms, cervical screenings, prostate exams and colonoscopies. Part D is for your retail prescription drugs. Although Part D is optional, it is really very important when it comes to cancer care. This is because some cancer medications and anti-nausea medications are now in an oral form which you pick up yourself at a pharmacy. You will want good coverage for these potentially expensive medications. Your Part D pharmacy card will provide drugs to you at a copay level instead of you paying full price. Most importantly, all Part D plans provide catastrophic coverage. After your spending reaches a certain annual limit, the insurance company then must pay 95% of the cost of your medications for the rest of the year. Here are some of the most common cancer questions we receive in relation to Medicare’s coverage of cancer treatment. Is Immunotherapy covered by Medicare? Immunotherapy is a form of treatment which helps the body’s immune system fight cancer. Medicare Part B provides coverage for most intravenous medications which are considered reasonable and necessary. Check with your doctor before beginning treatment. What will be my cost for cancer treatment under Medicare? You are responsible to pay for your hospital and outpatient deductibles, which are set by Medicare each year. You are also responsible to pay 20% of the cost of your Part B services. There are Medigap plans available which pay after Medicare pays its share. The one with the most comprehensive coverage is Plan F, which will cover 100% of your cost-sharing responsibility. Medicare beneficiaries can enroll in any Medigap plan without health questions during the first 6 months after their Part B effective date. There are no pre-existing condition exclusions or waiting periods if you apply during this Medigap open enrollment period. If a Medigap plan is not in your budget, another alternative is Medicare Advantage. Also called Part C, Medicare Advantage plans are private plans which pay instead of Medicare. These plans usually have a network of doctors from whom you will get your care. Some plans require you to choose a primary care doctor who can then refer you to your oncologist and other specialists. Medicare Advantage plans often have lower premiums than Medigap, but you will pay copays for your various treatments as you go along. As long as you apply during a valid election period and live in the plan’s service area, most people with Original Medicare can get approved for a Medicare Advantage plan. There is only one health question about end-stage renal disease which could prevent you from being covered under a Medicare Advantage plan. Which cancer doctors can I see while on Medicare? Medicare has over 800,000 providers. Many cancer treatment centers and specialists participate in Medicare. Visit Medicare’s website to find a list of participating providers. How Do I Know if a Drug is Covered by Part B or Part D? Part B typically covers drugs which are offered in intravenous form. However, if your doctor prescribes an oral version of one of these medications or an anti-nausea medication, Part B may cover it. Your doctor must give it to you within 48 hours of your cancer treatment. If you take a drug which only comes in oral form, your Medicare Part D drug plan will likely cover it. Should you be prescribed a drug that is not on the formulary, your doctor can file an exception with your drug plan to request coverage for it. Does Medicare cover second opinions? Sometimes cancer patients want a second opinion before a surgery. Medicare Part B does cover this at 80%. Most Medigap plans will cover the other 20%. If you are enrolled in a Medicare Advantage plan, check your plan’s summary of benefits to determine what your copay will be for this doctor visit. Danielle Kunkle is the co-founder of Boomer Benefits, an insurance agency specializing in Medicare-related insurance products. They help baby boomers new to Medicare learn about their benefits and coverage options across 47 states. 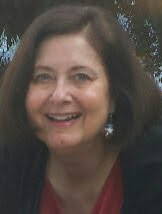 You can reach her at dkunklebb@gmail.com or 1-855-732-9055. If you are interested in more information on common medical issues as you age, retirement planning, Social Security, Medicare, and more, please use the tabs or pull-down menu at the top of the page to find links to hundreds of additional helpful articles. Watch for my book, Retirement Awareness: 10 Steps to a Comfortable Retirement, which will be released by Griffin Publishing in 2017.